The UK Department for Transport has recently issued a consultation document on the future of the Vehicle Identity Check (VIC) scheme. Some of the background details show that 717,000 checks have been completed at a cost of £30million to the UK motorist, and only 38 vehicles failed the check! The VIC is designed to stop ‘ringers’ - vehicles that have had their identity changed from going into use – so the scheme has either been a colossal success because it has removed ringers from the road, or a complete waste of time because it hasn’t found as many as were expected, I will leave you to form your own opinion on this! The consultation document highlights some future options and asks a number of questions that could be more interesting and wider ranging than the actual consultation. • Can you provide figures associated with the costs and benefits of the current scheme (including costs to motorists and business, and effectiveness of the scheme as prevention of car crime)? • Should the 4 salvage categories be retained as defined? Should they be amended? • Do you think there are already other systems acting as deterrent to ringing? • Can you suggest an alternative to deter ringing? Sorry, but I thought that the DFT have already shown the costs, benefits and effectiveness of the scheme in the background details quoted above! The consultation papers can be found at http://www.dft.gov.uk/consultations/dft-2012-33/, responses are welcomed from individuals, businesses and organisations and the consultation closes on 22nd October 2012. 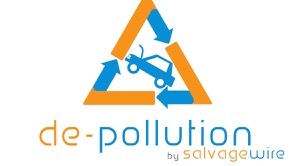 Automotive recyclers come together in the U.K.
From June 14 -16, the international Roundtable on Auto Recycling (IRT) was held in Liverpool, the United Kingdom. In addition to Country Reports from Australia, Canada, Europe, India, Japan, Malaysia and the U.S.A., the audience also heard about the effects of last year’s March 11 Great East Japan Earthquake and Tsunami on the auto recycling industry. Detailed video images stored on a DVD titled “375 Days of Disaster-Damaged Vehicle Recycling Activities in Tohoku,” which was created by the Super-Line Tohoku, were shown to delegates. Some of them couldn’t keep back their tears in front of the screen. The Japanese JARA Managing Director Sosho Kitajima introduced the report and thanked supports from overseas for the disaster relief efforts. In the Country Reports, JARA Vice Chairman Minoru Gouko presented updates of Japan’s auto recycling industry. “Japanese recyclers have begun to expand their businesses to Asia,” he concluded. He also introduced JARA’s efforts to help protect the environment in developing countries. The association won the Energy Globe award for the second straight year. “One of the highlights of this year’s IRT was the emergence of the Indian industry. Delegates from the Society of Indian Automotive Manufacturers attended and participated in all events,” said Steve Fletcher, IRT Chair and Managing Director of the Automotive Recyclers of Canada. The auto recycling industry in India is highly fragmented and is in a position similar to the Canadian or U.S. market of 50 years ago. 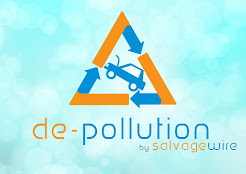 But like any great emerging nation, India will need to manage the development of a professional automotive recycling sector sooner than later. By participating in the IRT, India’s auto recyclers have seen a path forward that will ensure firm foundations are built for an important industry. “No country can be full of doctors and midwives without having a thriving undertaker. That is what India needs to develop: good undertakers for cars,” quipped Captain Mohan Ram of the SIAM. business everywhere and the need for more data and interaction with carmakers, insurers and repairers. part of the Automotive Recyclers Association Annual Convention.